My Milkshake Brings All the Heart Attacks to the Yard . . .
Are you ready for 2010? BEHOLD THE DRINK OF DOOM! Move over Double Down the Cold Stone PB&C milkshake is here to clog a person’s arteries faster and chunkier! 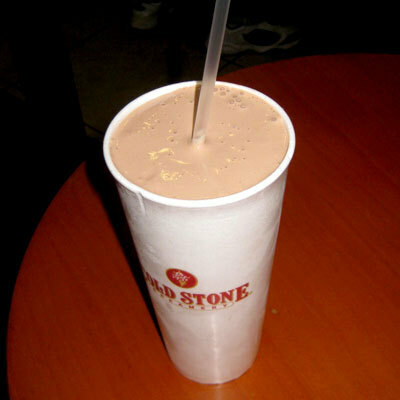 Men’s Health recently compiled the 20 worst drinks in America, and the Cold Stone concoction was #1. This monster of a drink contains 68 grams of saturated fat and 153 grams of sugar, and has 2010 calories (wow, that’s this year! This drink is the sign of the Apocalypse!). 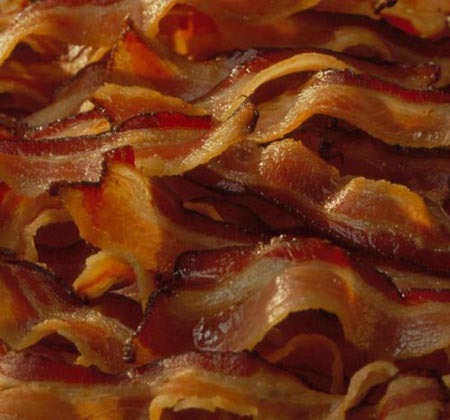 It’s like eating 68 strips of bacon! Get your blender and 68 bacon strips you can get the same effect as the Cold Stone drink. McDonald’s large Triple Thick Chocolate Shake was third. It has 1,160 calories, which is the equivalent of 13 of the fast food chain’s hot apple pies. Cold Stone must be desperate if it wants to beat McDonald’s in the Food-that-Can-Kill-You business. The amusing thing is that Cold Stone’s spokesperson said that they offer low-calorie, reduced-fat options . . . you have the highest calorie drink in the nation! You could offer a drink that is 1980 calories (67 bacons) and that would be a lower calorie option!